Here's the last installment of my Singapore 2015 adventure! 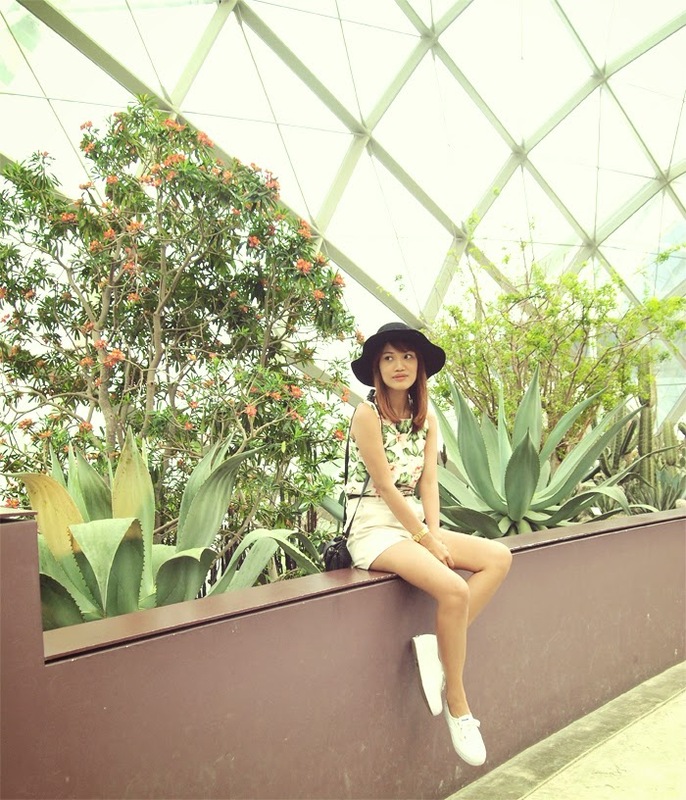 On our 4th day, we finally got the time to shop a little & enjoy the beauty that is Gardens by the Bay (my first time!). Our first stop was Anchorpoint mall at Alexandria road where the outlet stores of Giordano, Cotton On, Charles & Keith & Typo are found. Afterwards, we headed to Bugis for some more shopping! Since we are a big group, we decided to split, shop alone and just meet an hour later. Effective sha. Spent the rest of our day admiring flowers and green leafy things. Haha. Here are stories through photos starting with some outfit shots! 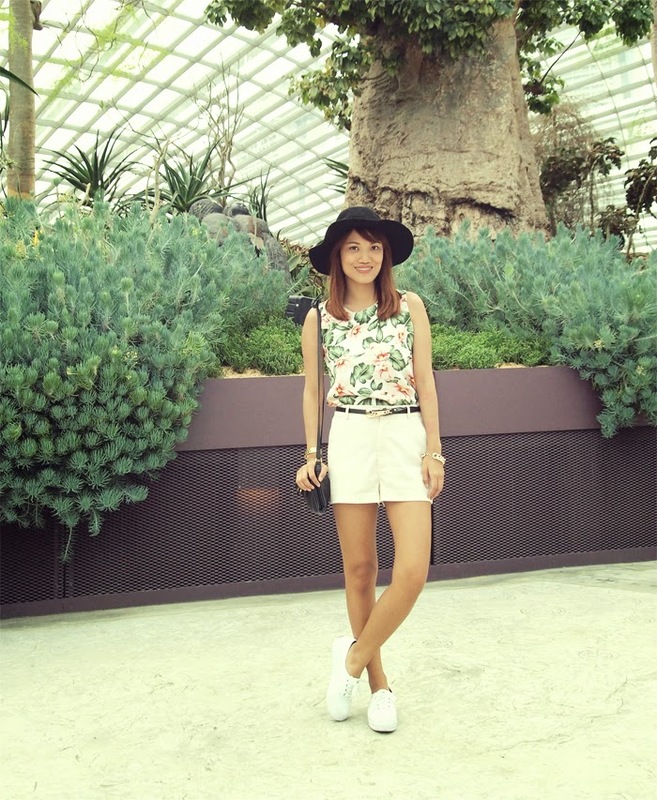 Mejo bumagay my outfit with Gardens by the Bay haha! Love my very summery top from FAB which I wore with my favorite beige H&M shorts & Keds sneakers from their new collection. I'm not very much a fan of Hawaiian like prints, but this one I like. Hanap hanap exact change for our bus rides! Love SG buses! Sana ganito sa Pinas! After almost 10 stops, we were finally at Anchorpoint! Had to cross this overpass first. And cross this street first... Remember, it's just opposite IKEA! Our first stop: Giordano Outlet. Mom and sister bought a few pieces for pasalubong. Not the same brand! Don't be fooled! TYPO outlet store! I wanted to buy everything inside but had to stop myself because I had a budget. Lots of stuff on sale! Bought a few items from Cotton On! Was tempted to hoard and pamigay sa mahilig magtinder jan. You know who you guys are. Wahaha! Watches for $10sgd for every purchase! Decided to eat lunch here. Food here was much cheaper! Ate a lot. Haha. Hoarded on lip balms and got this one from Watsons. Quite effective! Lakas maka Kathniel! Haha. Candid shot of my parentals while we were waiting for the bus. Next time, I shall conquer you! Checking for bus schedules and looking for exact change again. Hihi. Got off at Bugis MRT to do some quick shopping at Bugis Village! My favorite tiangge-an in SG. So many shops and bargain items! Had to have my faveorite Iced Milo! We all separated for an hour (and a half coz I got caught up with it haha) and just met up in Burger King after. Surprised myself 'coz I didn't shop too much! I just bought a nice bucket bag for $25 (been wanting to buy one since my last Thailand trip which was ages ago), 2 skirts & 2 sweaters for $10 each and a SG souvenir bag as my extra handcarry. Woots! Rode the blue line going to Bayfront (Marina Bay Sands) where Gardens by the Bay is located. So nice & convenient this new line! Got off at Bayfront station and just followed the signs going to Gardens by the Bay! We're here!!! Just follow the signs, forever. Family picture #2. Spot the difference. Hehe. Now let me take you on a private blog tour! Hehe. Warning: This area is cold as Elsa's castle in Frozen, so don't forget to bring a sweater or jacket! Nico & I didn't want to go back to Chinatown yet, so we boarded the train and visited Haji lane & Arab street! Perfect chill out place for art enthusiasts and hipsters. Hehe. Arab St. at night. Closed na everything. Best to visit in the afternoon. Randomly decided to have late dinner at Lau Pa Sat near Raffles. Best way to end our last night in SG! Satay, Kway Teow & Tiger beer! Spent our last few hours on our last day shopping for souvenirs. Amazing race na naman ang peg. Solo solo. Haha. Lined up for Lim Chee Guan's famous Bakwa or Beef Jerky! A little pricey but super worth it! May kakambal si Dora! Hahaha! 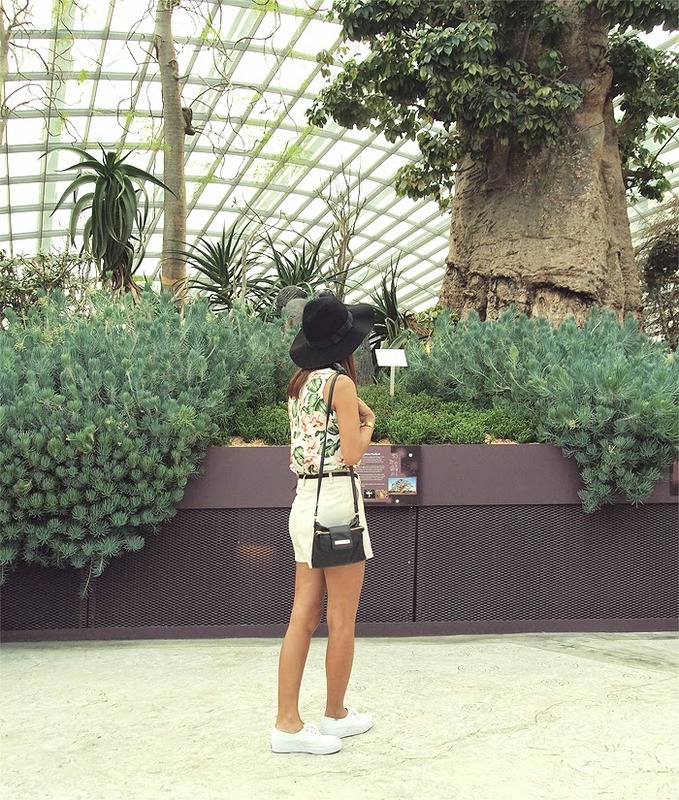 Was able to try out one of Changi's attractions, The Social Tree! Nakakahiya ang tagal nia nakadisplay na ganyan. Haha! Team SG. Haha! Til our next adventure!